I find myself in a very awkward and unknown – I would even say, embarrassing – place in my life. In my life (indeed, lifetimes) as a Tantrika, my focus has been opening with unconditional love, and with a full YES, to all of life’s experience, with deep, unreserved embodiment. And here I stand now, finding myself deeply and passionately attracted – not to life, but to emptiness, to the deep, to what Bernie Prior calls the Black. There is no eros that draws me more right now than disappearing into silence, and being taken by the Beyond. Not very tantric, the conditioned mind would say. But watch how life comes to greet this desire of mine with resounding support. Not surprisingly, this moment of realization is happening for me on a wild and endless ocean. Many years back, my meeting with the dolphins in these same wild waters had led to the beginning of the Tantric path for me. 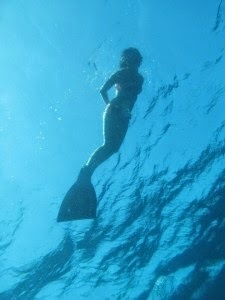 Here I stand again, looking into the big blue, calling to the dolphins, with my heart wide open. Suddenly they come, thrashing through the boundaries of my interior landscape, and singing the space wide open into my heart. All of this is happening in the etheric, without any of us even seeing or hearing an actual dolphin. But the impact inside my heart is so intense that I feel on the brink of tears – those tears that come when the heart has been stretched to the edges of its capacity to hold intensity. In that inner communication the dolphins have come to pull me into the deep – into that black, endless silence, as if into the depths of a bottomless ocean. In the time following this, I feel waves of fear rushing through me. I want to disappear into emptiness, and give myself into it as into the arms of the Beloved. And yet something in me is terrified of what will happen. I take this fear into a sound journey that Courtney Ward of Halo Gaia leads. As I listen to the sounds of her instruments, eyes closed, body letting go, I feel myself entering into the heart of fear, which feels like it is the heart of Love. This sends my heart skyrocketing open, like an opera that bursts forth from a ship exploding in fire. The next morning, we are out on the waters again, and this time, the waves are so big that Courtney will not let us out to swim with the dolphins. They are surrounding us on all sides, playing effortlessly and without the slightest fear in the waves that are heaving our boat up and down in huge swells. The next moment, a cry goes out: Shark! There is a dark mass in front of us.. a very strange looking large fin pops out of the water. This feels like a miracle. We have found a whale shark! Courtney gives permission to strong swimmers to jump out. I find myself diving down on top of the head of this most magnificent creature, whose body looks like the night sky scattered with a milky way of stars. All around the whale shark are dolphins dancing in utter delight, as if to celebrate the survival of this magnificent but shy creature which is being hunted to extinction by Chinese poachers. 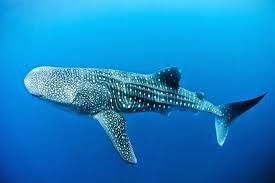 The whale shark is known as the fish that goes deepest into the depths of the ocean – they have been found up to 2 000 meters down. This companion can guide me down into the depths with total ease. And I am going. For the next three months, I have cleared my schedule down to the bare minimum so that I may be taken into emptiness and what lies waiting there for me. Annihilation on some level, I am sure. It is my prayer that less of ‘me’ comes back and more of the ONE living through this body. See you on the other side, beloveds! Magnificent Shakti. Meet you on the other side. Dive deep Beloved.